People are always looking for ways to invest their spare cash, but many are put off by a number of factors. Perhaps the most often-cited reason why individuals do not invest their surplus money is the perceived risk involved in some investment vehicles. To a considerable number of people, the word ’investment’ is synonymous with relatively high-risk ventures like share trading or property development. There are, however, a number of easily-accessible investment options which provide a virtually risk-free alternative for those with some money to invest. National Savings and Investments (NS&I) is a government department, under the auspices of the Treasury, which offers a variety of savings and investment vehicles for ‘average’ consumers. 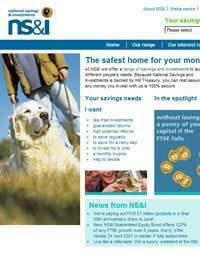 Originally established in 1861 as the Post Office Savings Bank, NS&I has grown into one of the largest savings organisations in the world, with their most popular product remaining the Premium Bond. Premium Bonds can be thought of in broadly similar terms to a lottery. When you buy an individual bond, each of which is priced at £1, you will be allocated a unique number. This number is then placed in a series of random draws which take place at regular intervals. If the number of one of your bonds is drawn, you will win a cash prize. No interest is paid on Premium Bonds, and the only potential for income is through these prize draws. The great attraction of Premium Bonds is that they are as close as one can get to risk-free investment. As with any bond, when you purchase this product you are essentially lending the government money, who pledge to honour your investment and repay it if and when you wish. Your investment is, therefore, guaranteed by the Treasury. NS&I asserts that this makes it a 100% safe option. In reality this is not entirely true, but the likelihood of the Treasury being unable to honour their promise is so slim that Premium Bonds can basically be thought of as risk-free. In order to give people an extra incentive to invest (and, therefore, to make available as much cash as possible to the Exchequer), the government offer Premium Bonds as a totally tax-free investment. You will pay no Income Tax on any prizes that you might win, and they are similarly exempt from Capital Gains Tax. This also, of course, means that you are not required to declare any income from the Bonds on your Self Assessment, if you fill one out. Even with these tax advantages, however, Premium Bonds may well not be the most profitable option. Somewhere in the region of a million cash prizes are offered each month, but there is absolutely no guarantee of any return on your investment. Obviously, the more Bonds you buy, the more likely you are to win a prize, but if you have large amounts to invest, you are almost certainly better off with a more high-risk option that yields higher returns. Finally, it is also important to note that NS&I has introduced a minimum investment for Premium Bonds; currently, you must buy at least £100 worth of bonds at one time, with a maximum total investment of £30,000.